The new Reloop Beatmix 4 is an entry to intermediate-level four deck digital DJ controller that comes bundled with the full Serato DJ experience. 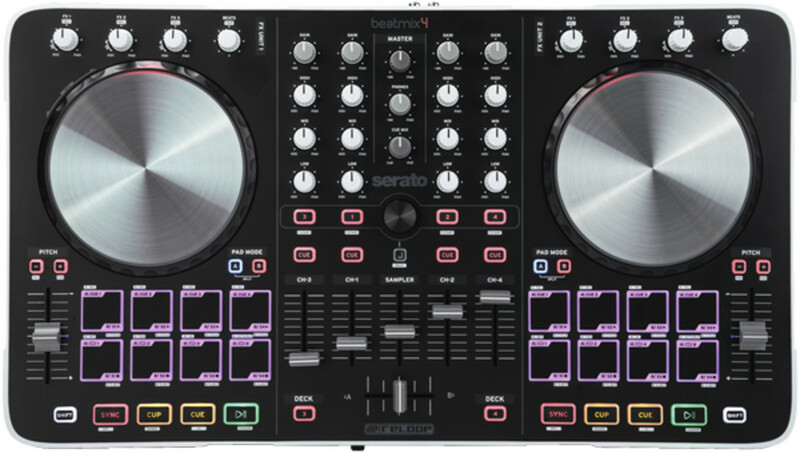 This new controller is mainly entry level in price while providing the full Serato DJ software experience (for a limited time), full RGB backlit performance pads, and aluminum-top jog wheels with an LED light ring for needle position monitoring. 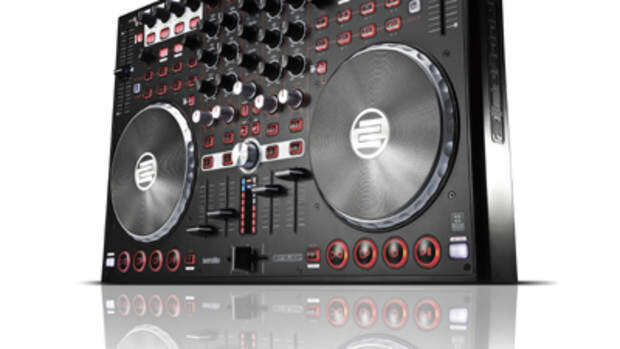 The Reloop brand has been putting out some very good quality DJ equipment and their controllers are no exception. The new Reloop Beatmix 4 is an excellent controller for those DJ&apos;s on a budget or for lower level DJ&apos;s who want to hone their craft before spending the big bucks. The Reloop Beatmix 4 has a full four decks of control with a three-band EQ, linefaders, and even Gain controls for each channel. The Beatmix 4 also has a full featured effects section above each deck and an official aluminum top jog wheel with an LED ring to show needle position. 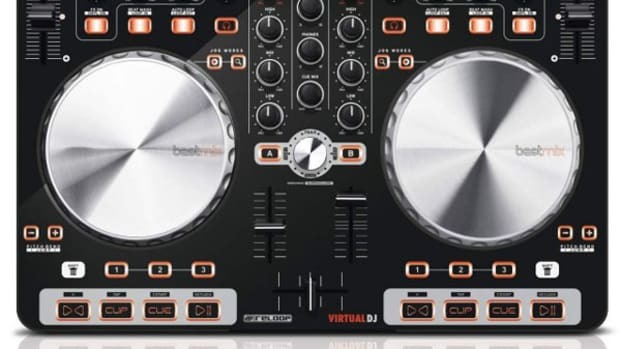 The Beatmix 4 has the familiar multi-color performance pads under the jog wheels to handle the Hotcue, Loop, and Sampler functions of the software. There is an RCA output on the rear for connecting speakers and a microphone jack with volume control knob on the front. There&apos;s also a quarter-inch and a mini headphone jacks on the front panel for monitoring. 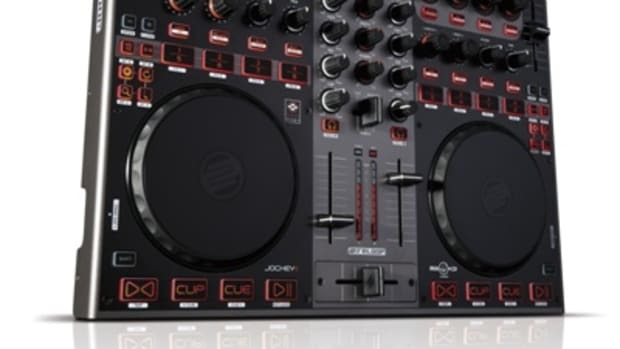 The Beatmix 4 is still a very strong contender in the entry-level controller market and the DJbooth.net team recommends the Reloop Beatmix 4 to any new to mid level DJ who wants great sized jog wheels, four decks of control, and cool performance pads for playback functions. Reloop has just announced a new entry-level four deck digital DJ controller that comes bundled with Serato DJ called the Beatmix 4. This new controller is mainly entry level in price while providing the full Serato DJ software experience (for a limited time), full RGB backlit performance pads, and aluminum-top jog wheels with an LED light ring for needle position. The new Reloop Beatmix 4 is an entry to intermediate-level four deck digital DJ controller that comes bundled with the full Serato DJ experience. 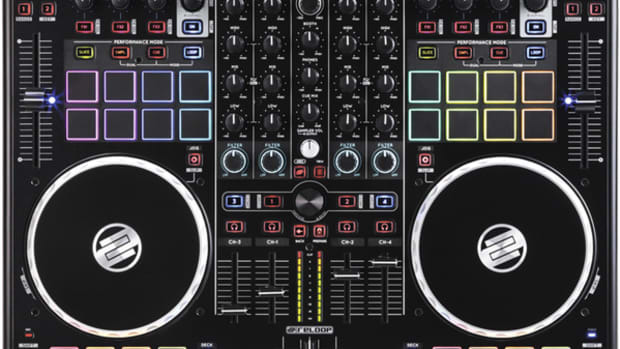 This new controller is mainly entry level in price while providing the full Serato DJ software experience (for a limited time), full RGB backlit performance pads, and aluminum-top jog wheels with an LED light ring for needle position monitoring. We now have the new Beatmix 4 in the lab for a full video review, but first we'll show you the unboxing and first impressions video so you can see all that comes in the box. 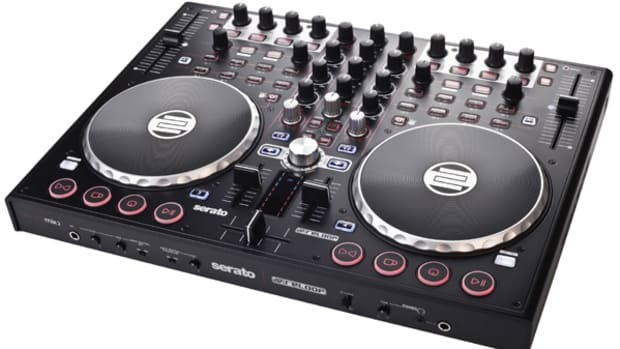 The new Reloop Beatmix 4 is an entry-level four deck digital DJ controller that comes bundled with Serato DJ. 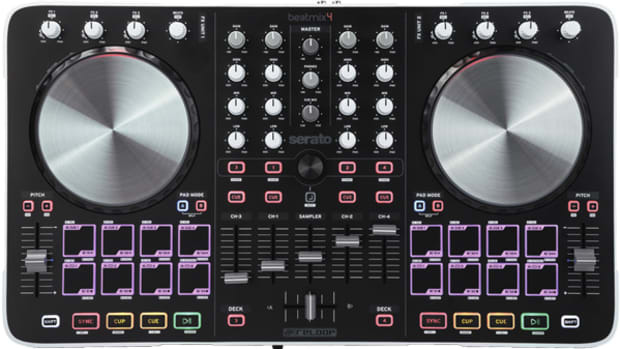 This new controller is mainly entry level in price while providing the full Serato DJ software experience (for a limited time), full RGB backlit performance pads, and aluminum-top jog wheels with an LED light ring for needle position monitoring. Reloop has just released a new four-part Tutorial Video Series to explain the main features of the Beatmix 4.